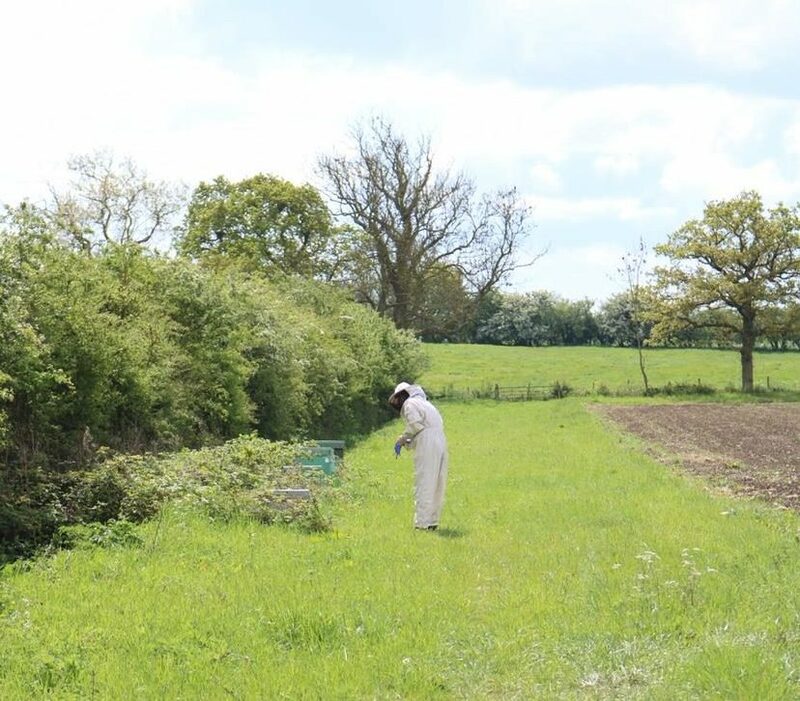 We were delighted to see activity around our hive, with honey bees flying in and out. We placed the entrance reducer back on the front to narrow the entrance and stayed for a few minutes to make sure the bees could still find their way in and out (which they did). The entrance reducer is a strip of wood that is designed to allow the bees access, and keep larger creatures out (such as mice, lovely as they are, there is no place for them in our hives thank-you!). It’s also import as it helps the bees who act as gatekeepers, a greater chance of protecting the hive from wasps and bees from other colonies who might want to rob honey. Seeing the new honey bees residents in our hive is brilliant! Nature doing what it does. Let’s hope they stay. We will leave the hive and check on it over the next few weeks, when the weather is warmer and allows. 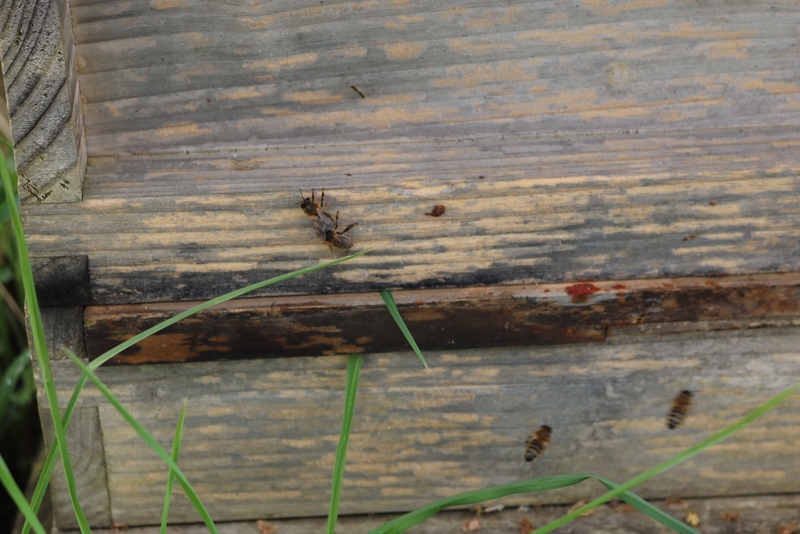 When the sun came out, more bees came out of the hive and they burst into activity. 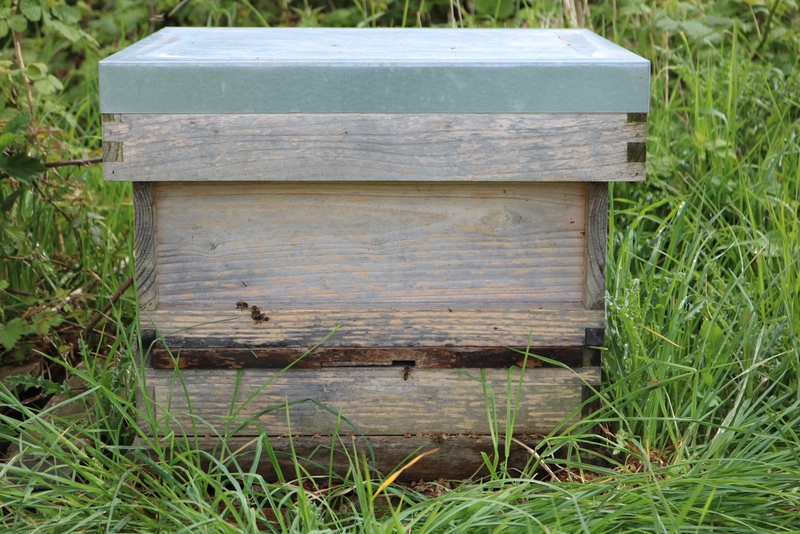 One of the neighbouring hives is particularly active. This produced a lot of honey at the end of the summer last year – gorgeous wildflower and lime tree honey. 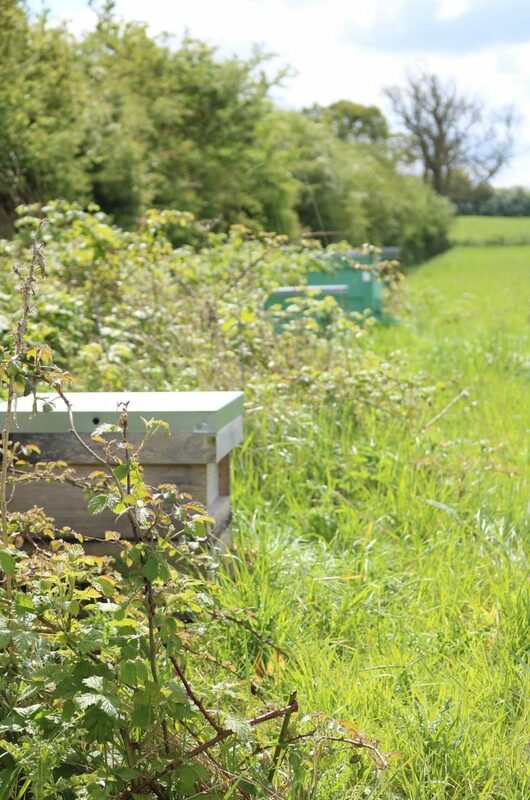 Without doubt, another of the great things about beekeeping is the beautiful scenery. Walking through the fields, even on a cool Spring day, is stunning. 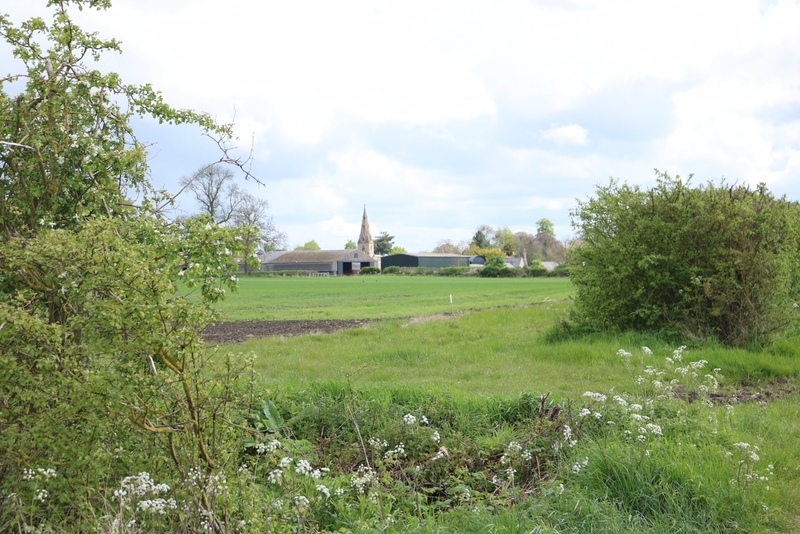 Here is a shot of the village church from the location of the bees, I wonder if they use the church spire as a way to navigate their way to their favourite flowering nectar?